With the right type of pension, you can withdraw as much or as little as you like from the age of 55. This includes all personal and private pensions, plus some workplace schemes. In many cases you could take all your pension in one go. Although, this could leave you owing the tax man a lot of money. It could also have a drastic effect on how much you have to live on in retirement. That’s why it makes sense to get some advice before making any final decisions. You can take money direct from all private pensions and some workplace schemes. If you have what is known as a final salary pension things become a little more complicated. You need to transfer this type of scheme to a private pension before you can access any money. And by doing so you could be giving up some very generous benefits, including a guaranteed income for life from a specific age. A financial adviser can help you to understand if it is in your best interests to give up any such benefits and to transfer your final salary pension. Unfortunately, you cannot take any money from your pension if you have what is known as an unfunded scheme. This mainly affects public sector and civil service employees including the NHS, teachers, the armed forces and the emergency services. 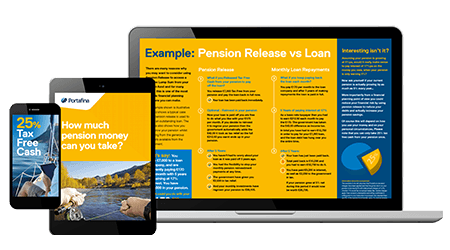 Now that we have established whether you have the right type of pension, we need to look at the possible impact of taking some or all of your money from your pension in one go. You can take the first 25% of your pension tax free, anything after that counts towards your annual income. So, the more money you take from your pension in a tax year the more likely it is that you will receive a considerable bill from the taxman. For example: let’s say John earns £25,000 per year and decides to take all of his £50,000 pension pot in one go to clear his mortgage. Even taking into account that the first 25% of his pot is tax free, he would end up with a tax bill of £11,400. That’s almost 23% of his pension immediately gone. If you are set on taking all of your pension money and can spread the withdrawals over two or more tax years then the chances are you will reduce the amount of tax you have to pay, in some cases by a lot. 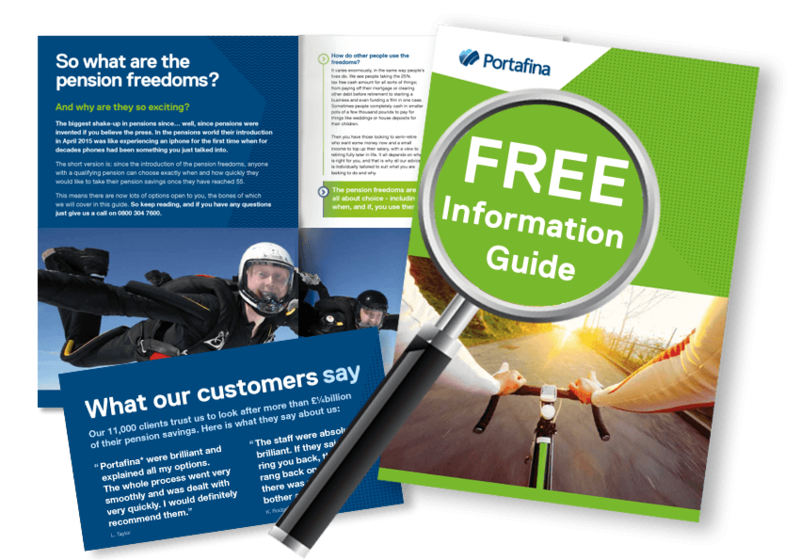 For many people the freedom to take money from their pension as and when they want gives them the financial flexibility they need. Although, it is important to bear in mind the traditional purpose of a pension: to provide a regular income in retirement. If you take all of your pension savings now then what will you have to live on in the future? You might have other sources of income when you retire which means you will be able to live the life you want, even if you take all of your pension savings now. On the other hand, if you have no other money coming in then could you afford to survive on just the state pension when you retire? 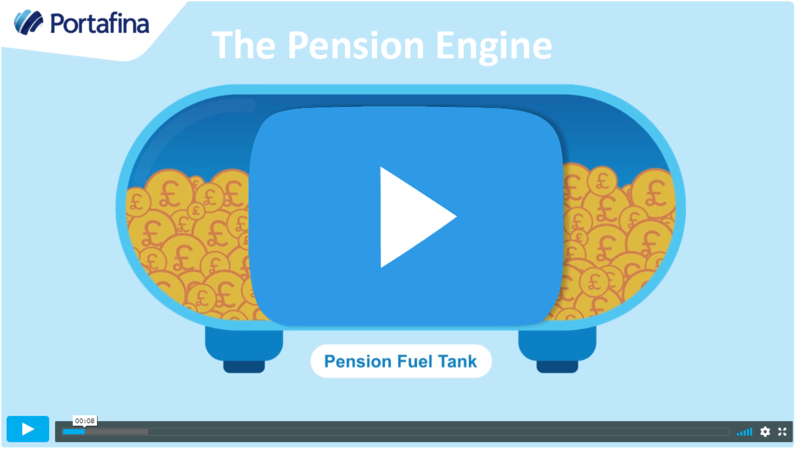 Even if you think you could and you still want to take all of the money out of your pension, it makes sense to do so as tax efficiently as possible. That’s why you should talk with a regulated financial adviser before making any decisions – one who will clearly and simply tell you what they think is best for you, and with no obligation. We have already helped thousands of people to unlock the potential in their pension and we would love to help you, too. Only advisers listed on the Financial Conduct Authority’s (FCA) register can give regulated advice. And using a regulated adviser could save you money and a lot of worry. For example, our FCA company number is: 754580.